Vintage Rolex Princess watch in white gold. Product code: P632 Categories: Sold Items, Sold Rolex Watches. 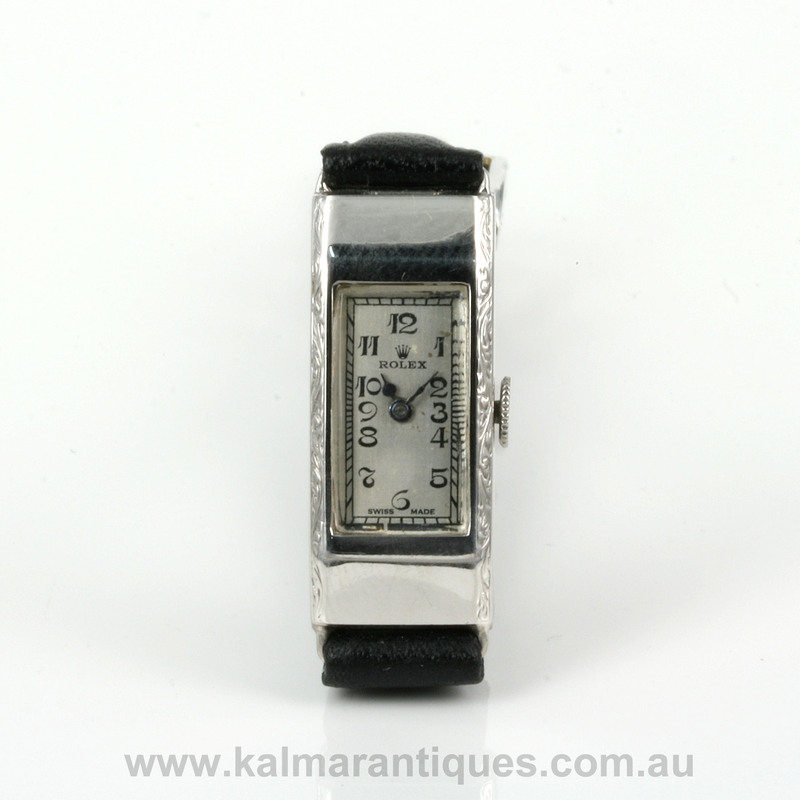 There is nothing quite like a vintage watch and there is nothing more special than a vintage Rolex watch adorning your wrist and here is a simply divine ladies Rolex watch dating from 1938. This particular model is called the Rolex Princess and took its inspiration from the gents version, the Rolex Prince which was of course made in a larger case. Made in 9ct white gold, the case measures 27mm in length by 11.5mm plus the crown and is wonderfully engraved down each side. The dial has been repainted to exactly how it was all those years ago making it very easy to read today and the font of the numerals has that wonderful flow and style to it to add to the charm and character of an already very elegant ladies Rolex watch. Inside is a fully jewelled manual wind Rolex movement that has been fully serviced and comes with our 12 month warranty. 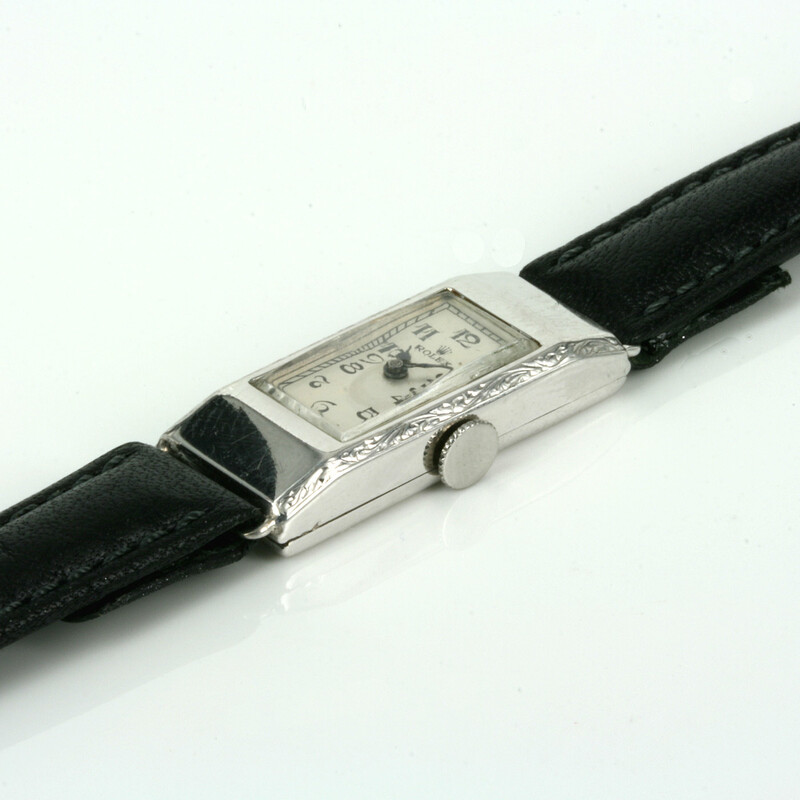 This is such an elegant vintage Rolex watch and one that comes with such flair and style to it.